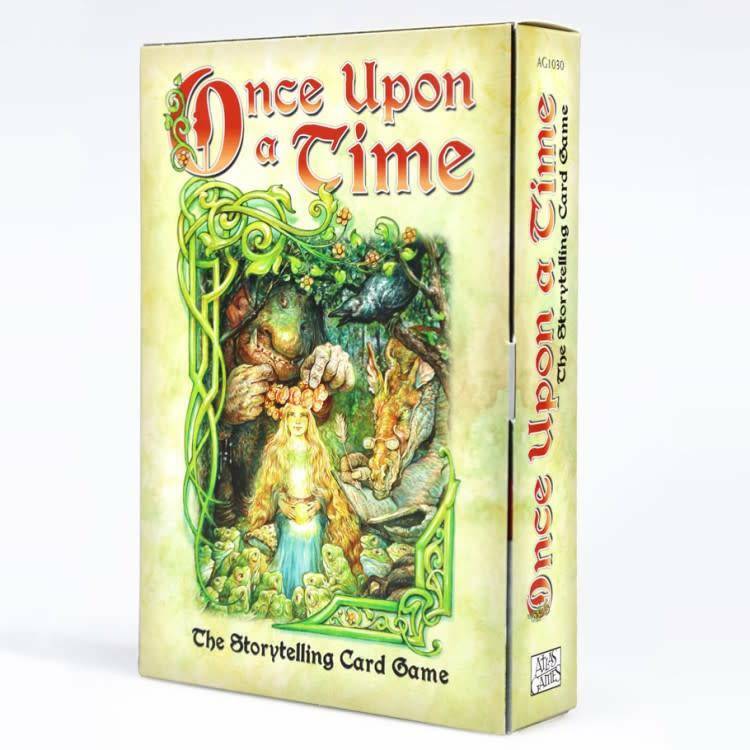 Once Upon a Time is the award-winning storytelling card game that encourages creativity and collaborative play. 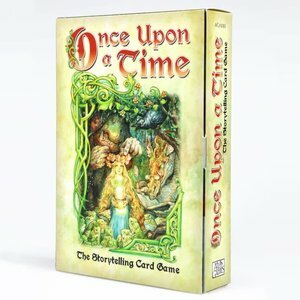 One player is the Storyteller, and beings telling a story using the fairy tale elements on her Story cards, guiding the plot toward her Ending Card. The other players use their own cards to interrupt her and become the new Storyteller. The winner is the first player to use all her Story Cards and play her Ending Card. The object of the game, though, is not so much to win as to have fun creating a story together.